Alec Chamberlain Watford signed 6x4 inch photo. Alec Chamberlain, Watford, signed 6x4 inch photo. 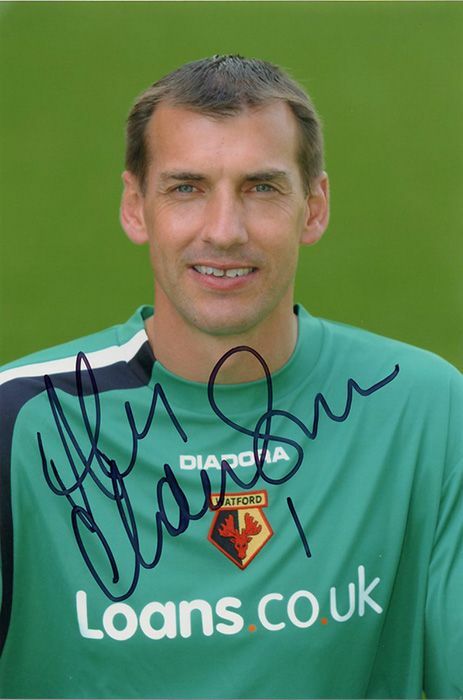 6x4 inch colour photo personally hand-signed in black sharpie pen by Alec Chamberlain, Watford FC. The veteran keeper has made nearly 800 appearances in a 25 year career at Ipswich, Colchester, Everton, Luton, Sunderland and Watford.